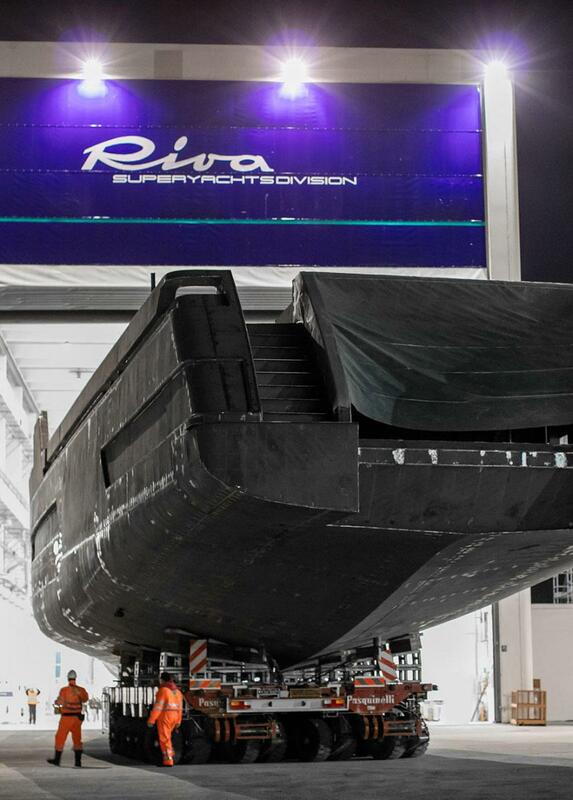 Extraordinary manoeuvres for the Riva Superyachts Division’s firstborn at Ferretti Group’s Super Yacht Yard in Ancona. 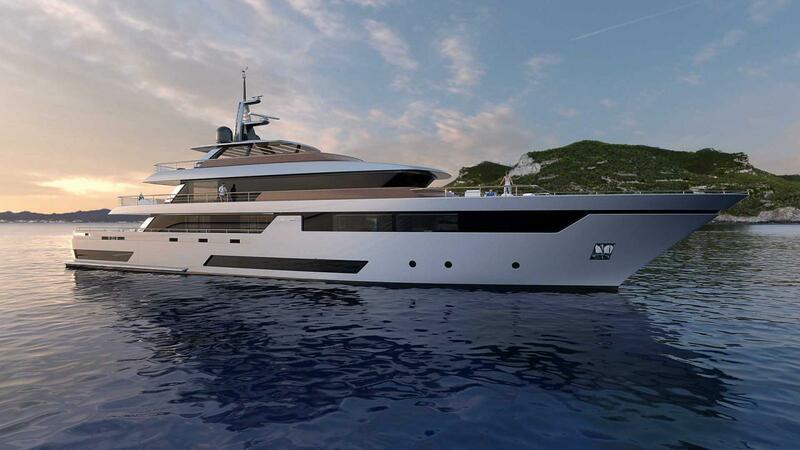 The dream of Riva super yachts in steel and aluminium is taking a step closer to becoming a reality. 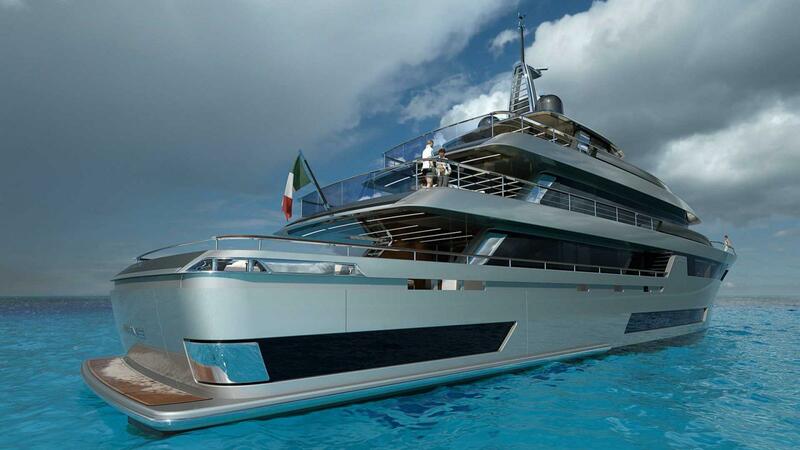 Carlo Riva already had it in his mind in the ‘70s, and this spectacular design is the best birthday present that Ferretti Group could give him. 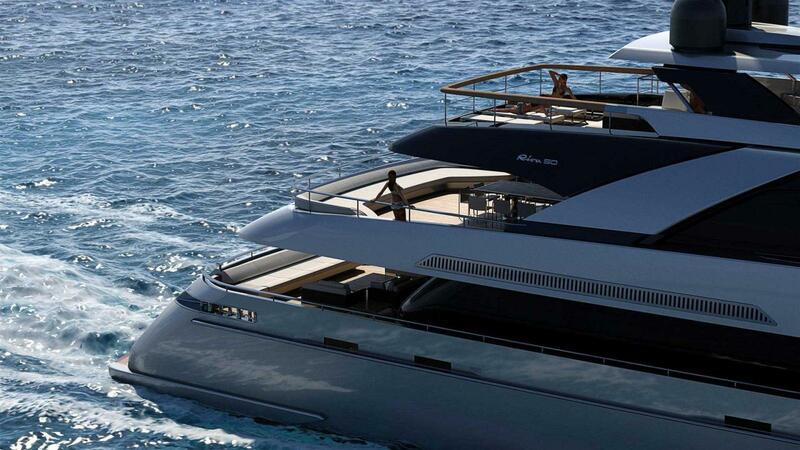 The new 50-metre Riva is the first born of the Riva Superyachts Division, and the heir to the celebrated “Caravelle”, “Atlantic”, “Marco Polo” and “Vespucci” M/Y series, entirely customisable to meet the demands of owners in terms of layout and interior design. 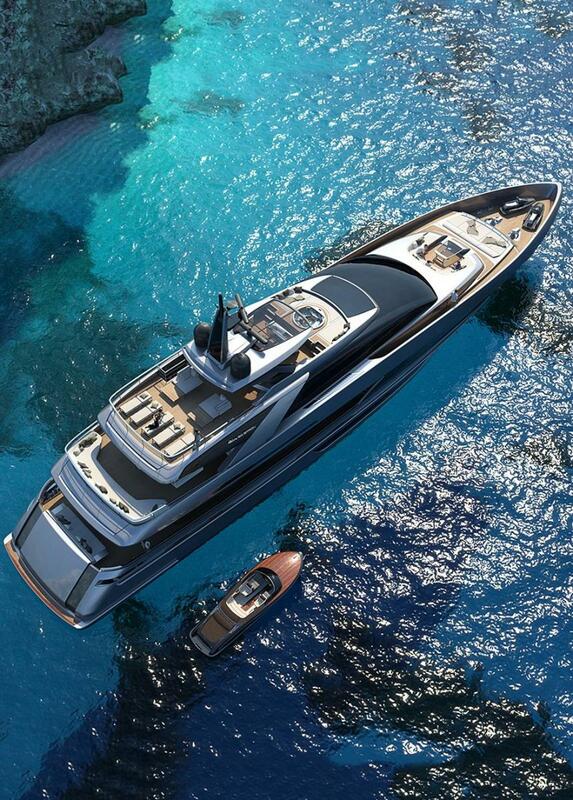 The steel hull of the new superyacht measures 50 metres in length overall with a maximum beam of 9 metres. 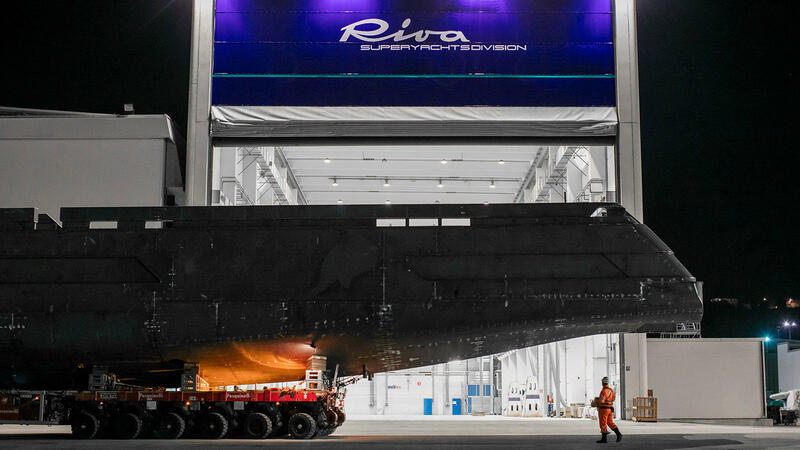 She was the “star” of a spectacular manoeuvre to enter the brand new and innovative premises for the Riva Superyachts Division at the Super Yacht Yard in Ancona, reserved by Ferretti Group for the construction of its 28- to 90-metre yachts in light alloy, steel and fibreglass for the CRN, Pershing, Custom Line and Riva brands. “Today was a memorable day for Riva, and we are happy we have started to write a new chapter in our history that began over a hundred years ago”, commented Alberto Galassi, CEO at Ferretti Group. 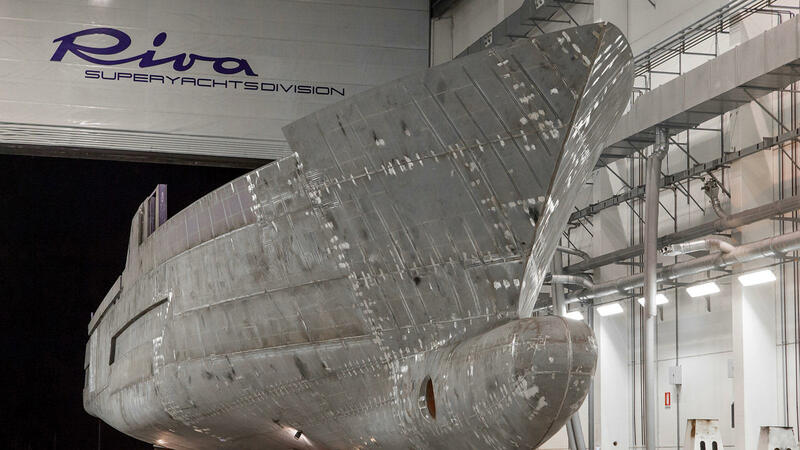 “I am proud to be leading a group of true professionals who are turning the dream of Carlo Riva into something tangible. 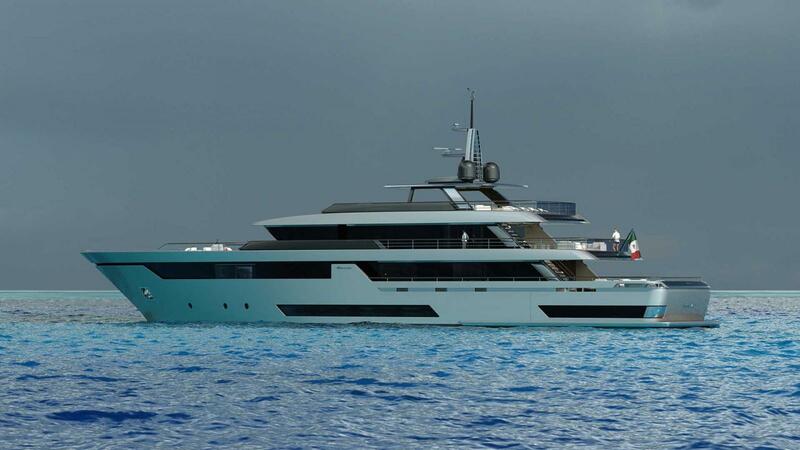 “We took up his idea for an ambitious and adventurous feat of engineering and focused on building this magnificent fleet of super yachts in steel. This giant of the waves is a unique masterpiece for its technology, attention to detail and fidelity to the brand’s identity and is the result of the partnership linking Officina Italiana Design, the studio founded by Mauro Micheli and Sergio Beretta that designs the entire Riva range, Riva SYD Engineering, the team of engineers that works on the engineering of the new Riva superyachts, and Ferretti Group’s Product Strategy Committee. 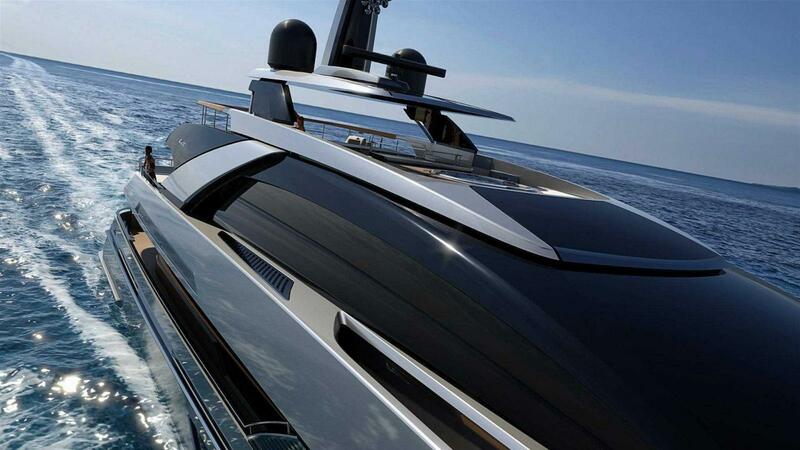 The 50-metre Riva has 4 decks. 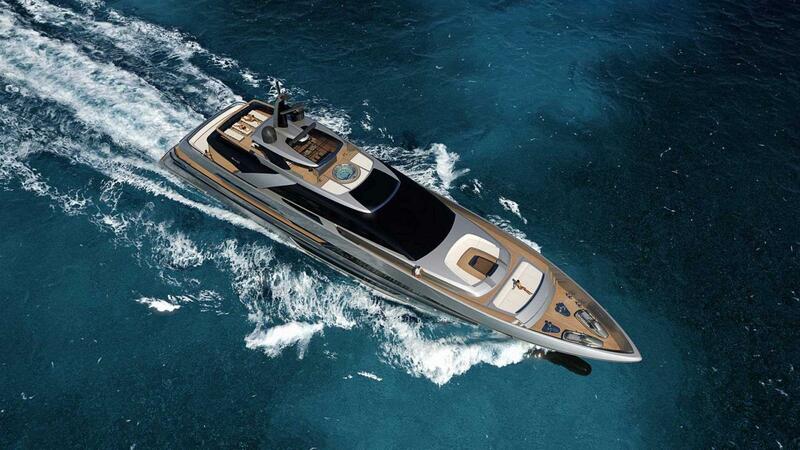 The master suite on the main deck is preceded by a luxurious VIP cabin. 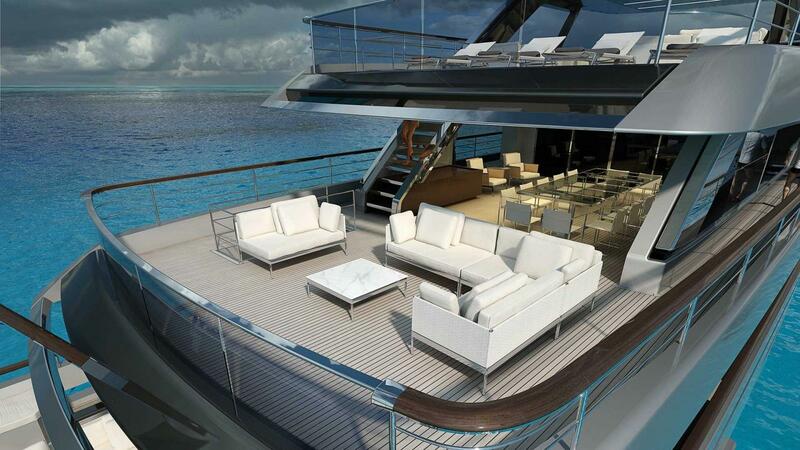 There are another 4 VIP suites on the lower deck, accommodating a total of 12 people. The lower deck also houses the 4 cabins for the crew, with the captain’s cabin on the upper deck. The galley is on the lower deck, ahead of the cold room and storage room: an innovative choice enabling all decks to be served via a convenient dumbwaiter. 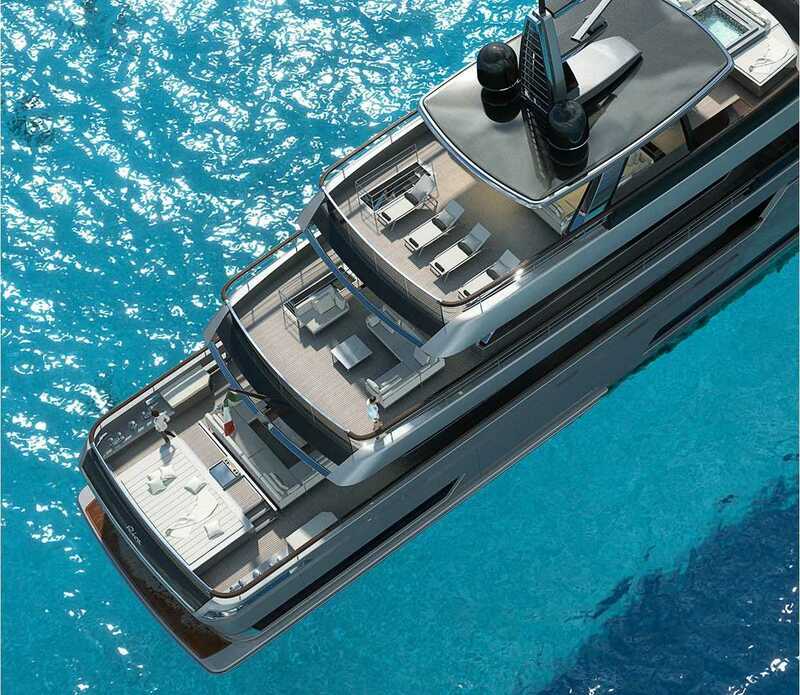 The large beach club at the stern is both an incredibly generous area for relaxation as well as a garage capable of accommodating a Williams Dieseljet 625 tender. 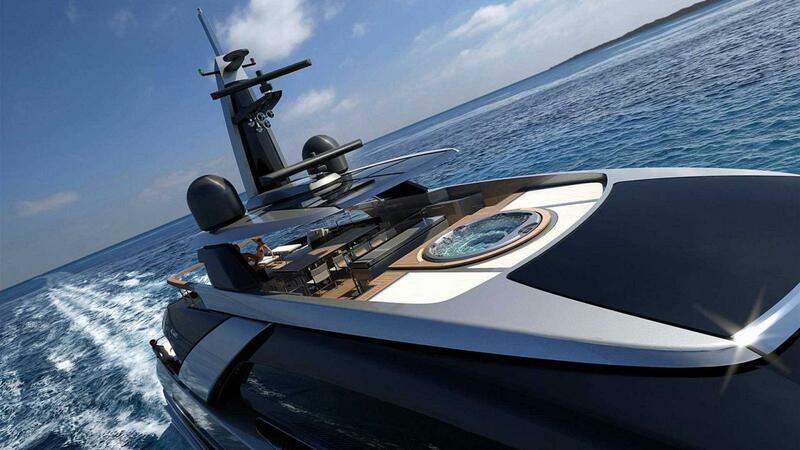 The bow houses a living area as well as a second garage with a hatch that opens to reveal a rescue boat. 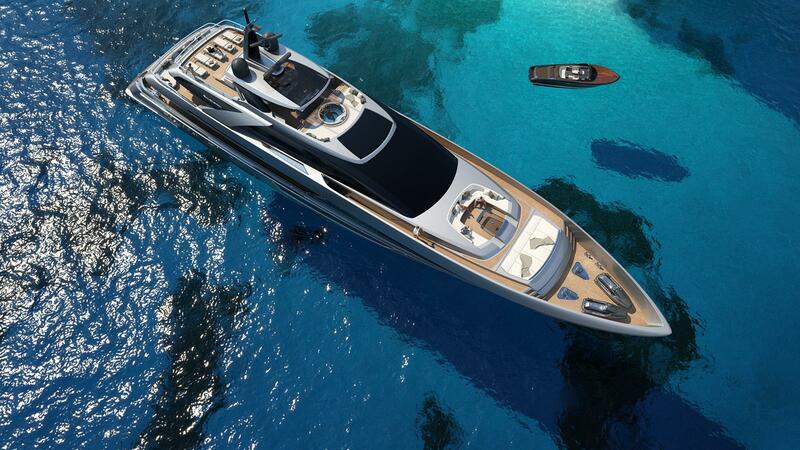 At the foredeck, there will be two jet-skis to guarantee maximum fun, with a carbon davit for easy launching. 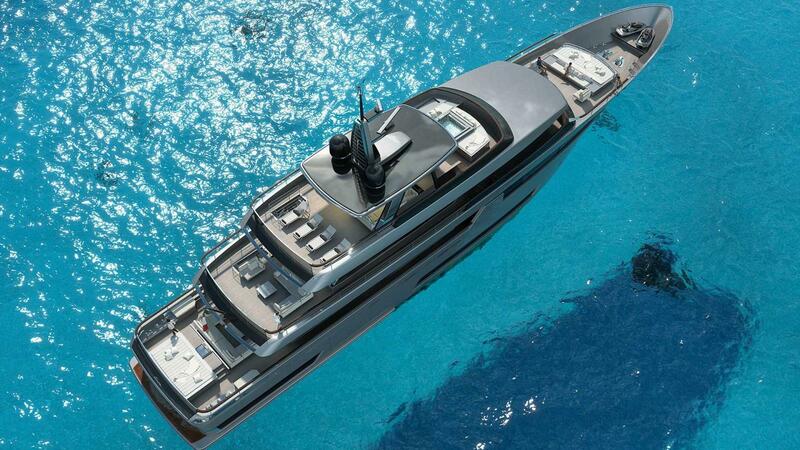 The sun deck is completed by a Jacuzzi, a sun pad and a generous area for dining and relaxing. 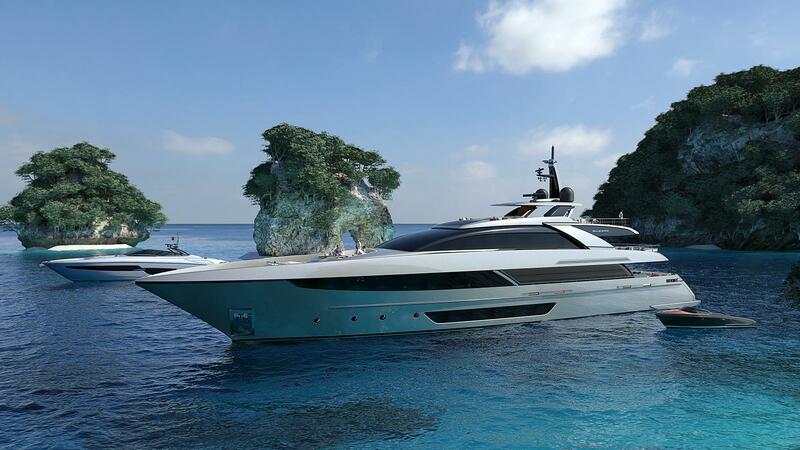 The 50 metre Riva will be launched in 2018: another milestone event in the history of the brand and the yachting industry.